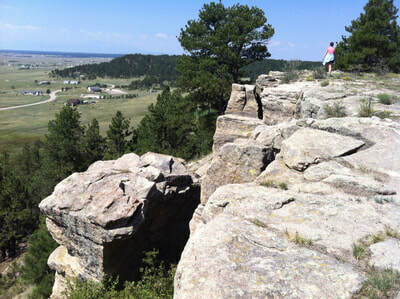 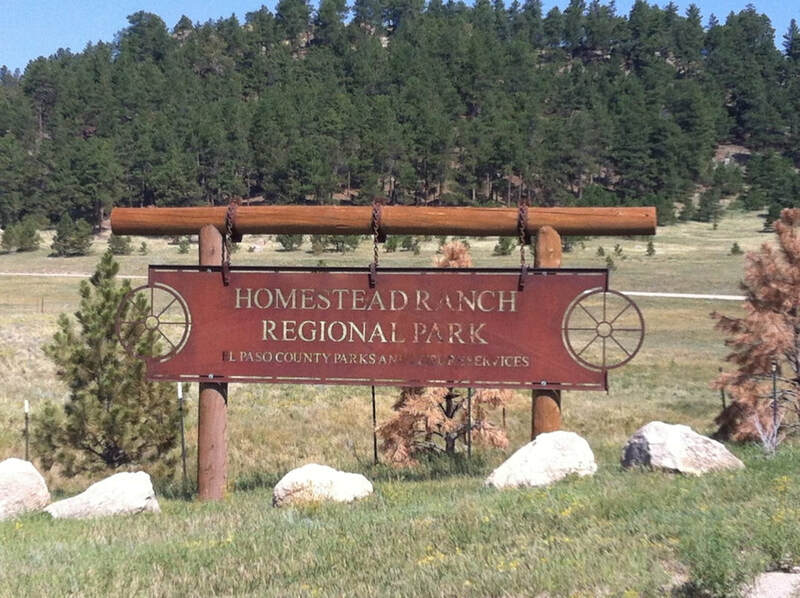 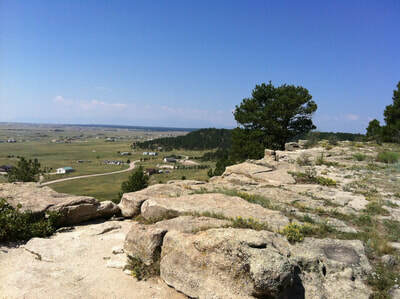 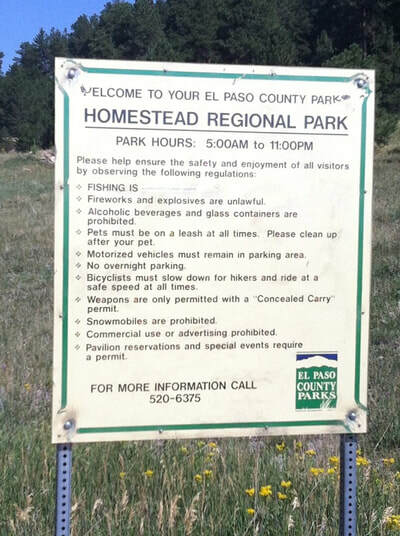 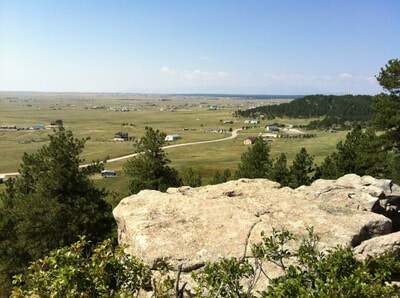 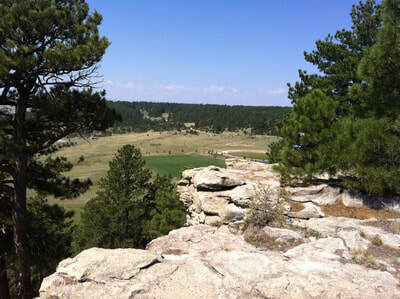 An original homestead site settled in 1874, Homestead Ranch Regional Park features diverse topography ranging from rolling, open meadows to tree-covered bluffs running the length of the park. A natural spring-fed pond and creek in the central valley of the park attract deer, coyotes, foxes, waterfowl, and occasional pronghorns. 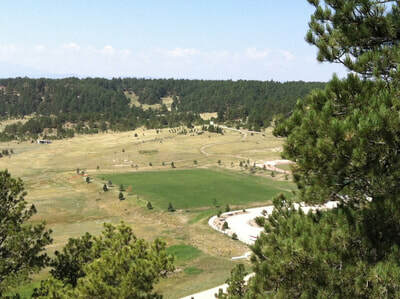 Rattlesnake Butte, a prominent landmark in eastern El Paso County from which visitors can see the Front Range and the Sangre de Cristo Mountains in the distance, is located within the park. 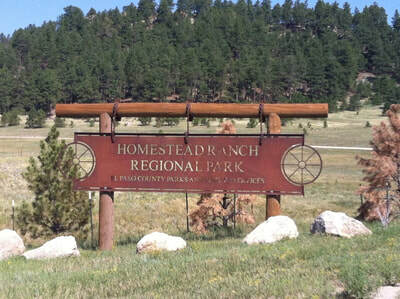 Homestead Ranch Regional Park opened in the fall of 1998. 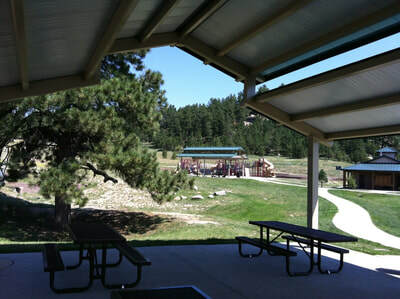 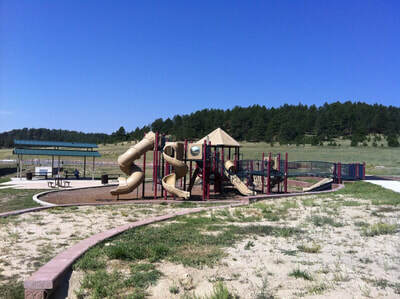 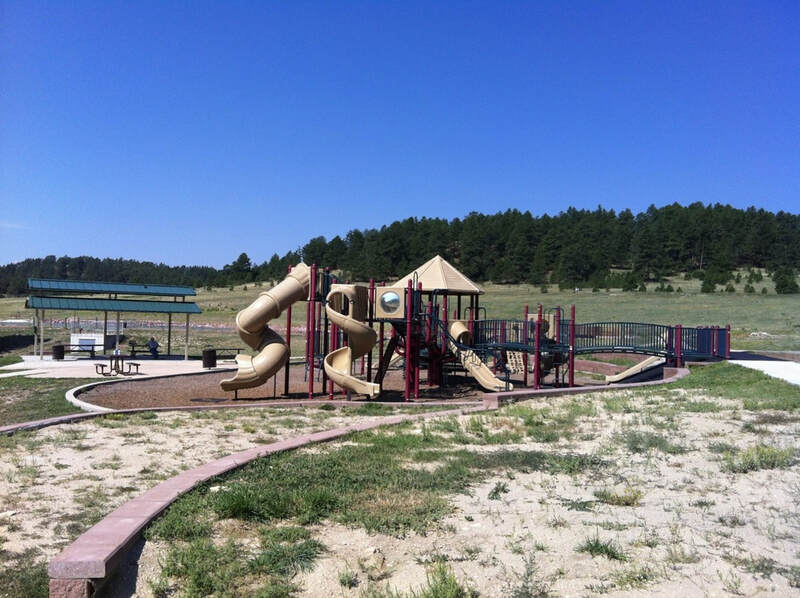 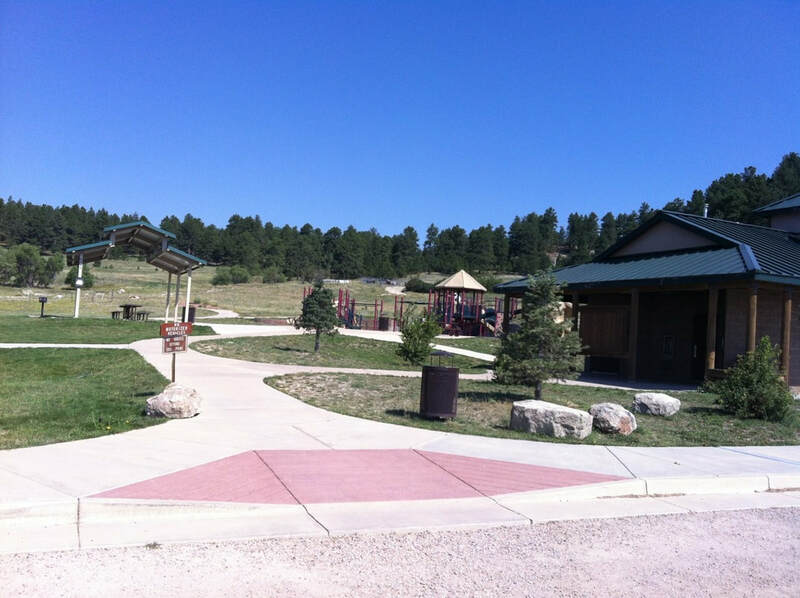 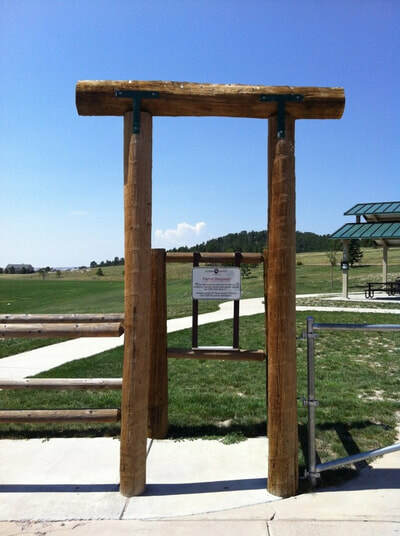 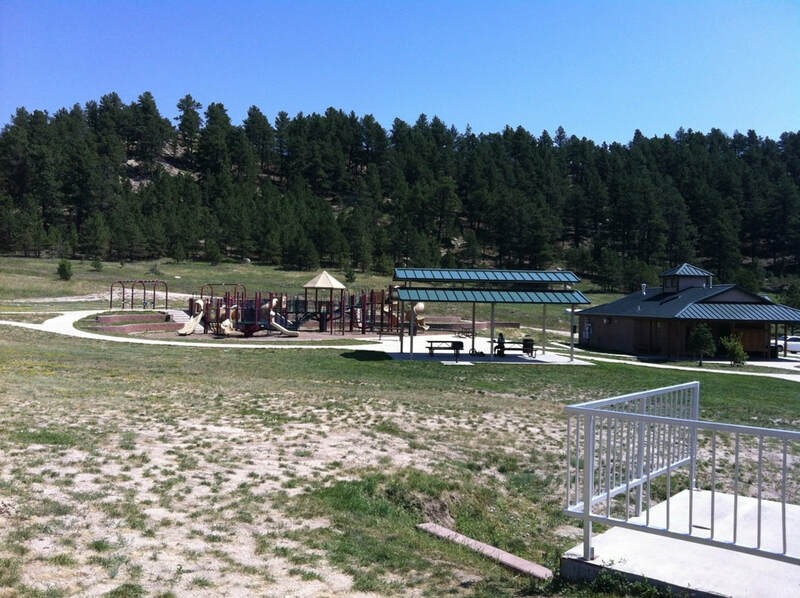 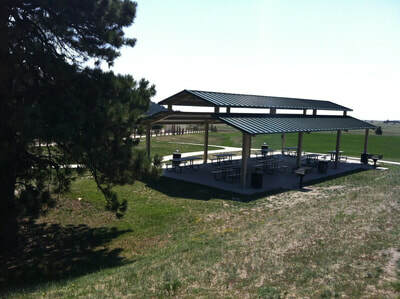 Amenities include a fishing pond, playground, two picnic pavilions with barbecue grills, a restroom building and a parking area in the main parking area. 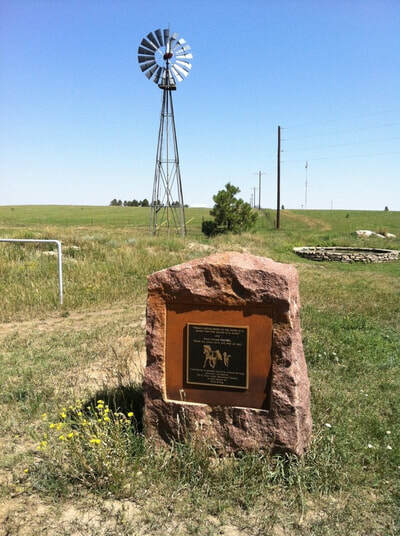 Up above on the trails is a nice rest stop with a windmill, water tank and hitch rack for horses. 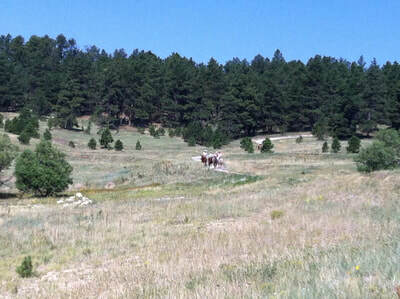 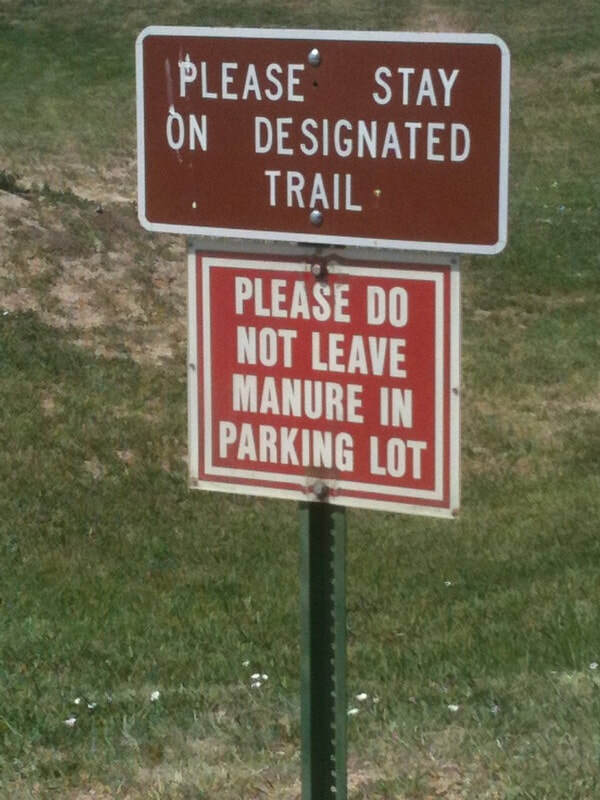 The trail has two loops – east and west. If you hike both loops, the length is 3.35 miles with 180 feet of elevation gain. At the conclusion of our hike we came across a family fishing in the pond for channel catfish – they were having much success. 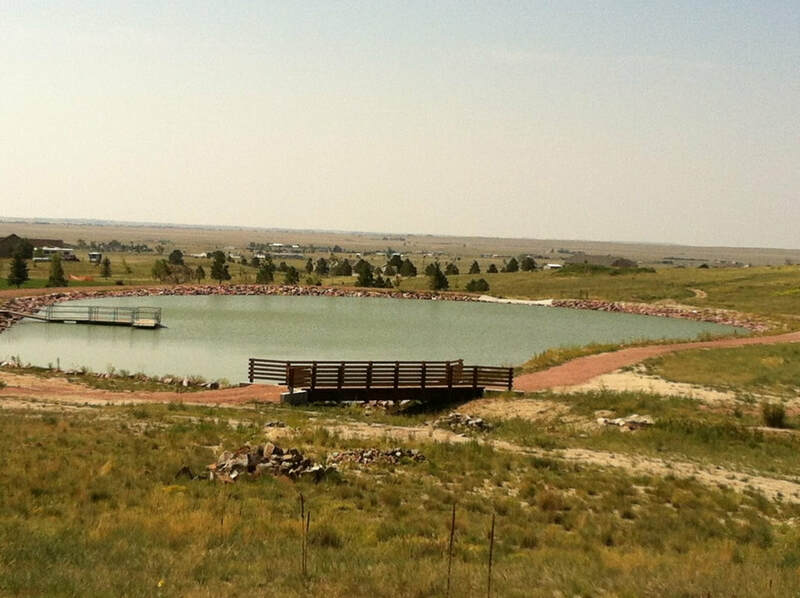 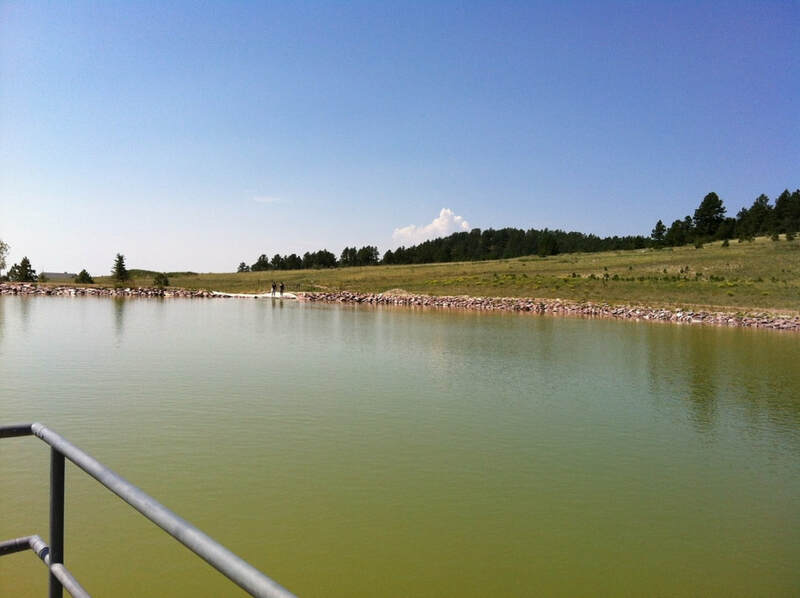 You do need a Colorado fishing license to fish in the pond. 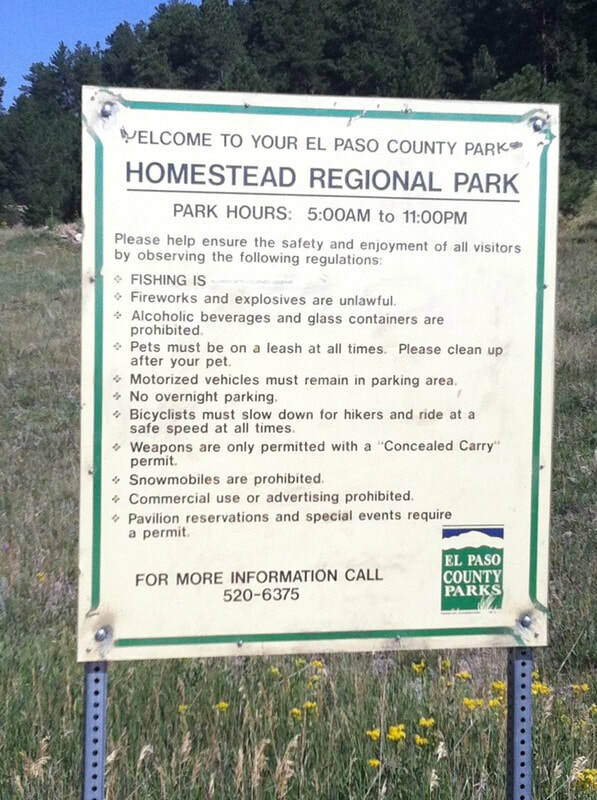 Below is a trail map updated in August 2012. 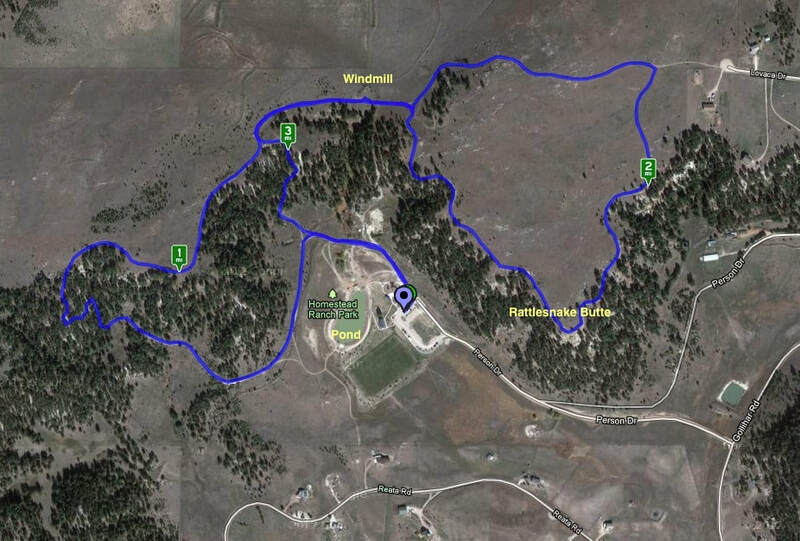 The mileage on the map indicates a clockwise hike from the parking lot, west through the trees, then east / northeast until you see the cul-de-sac, then south to Rattlesnake Butte, then northwest to close the east loop, then backtracking a quarter mile to the trail that goes back down to the pavilion. 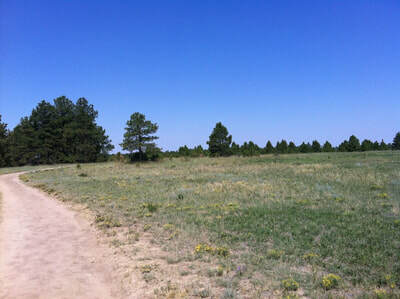 Click the map below for a larger view. 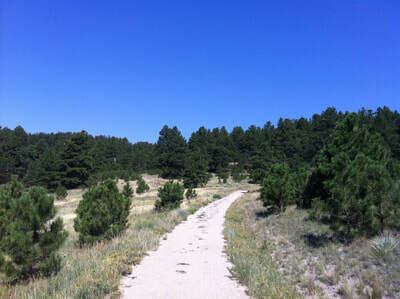 CLICK HERE to download a .kml file which you can import into Google Earth to view the trail from multiple angles.